Jet set travellers in search for the most azure blue waters and white sandy beaches are heading to the farthest atolls of the Maldives. 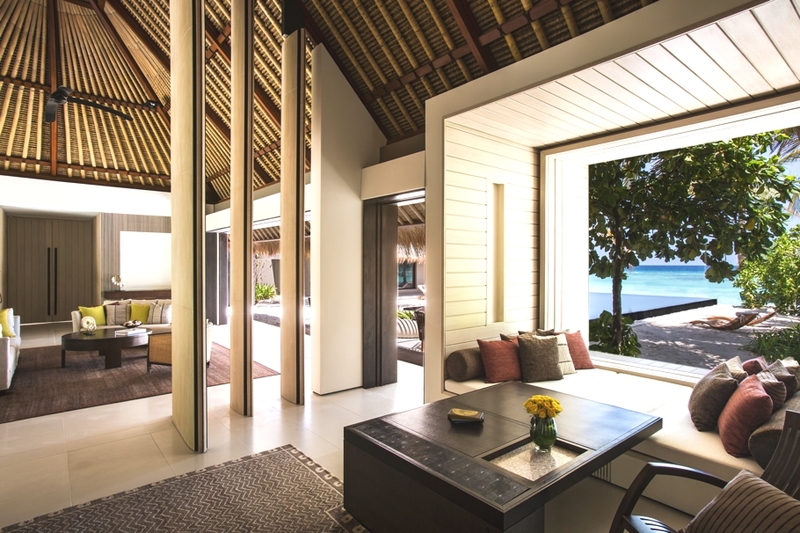 With the arrival of new airports making the lesser-known islands easier to get to, and luxury hotels making the journey just that more appealing, a winter escape to the Maldives ticks all the boxes. 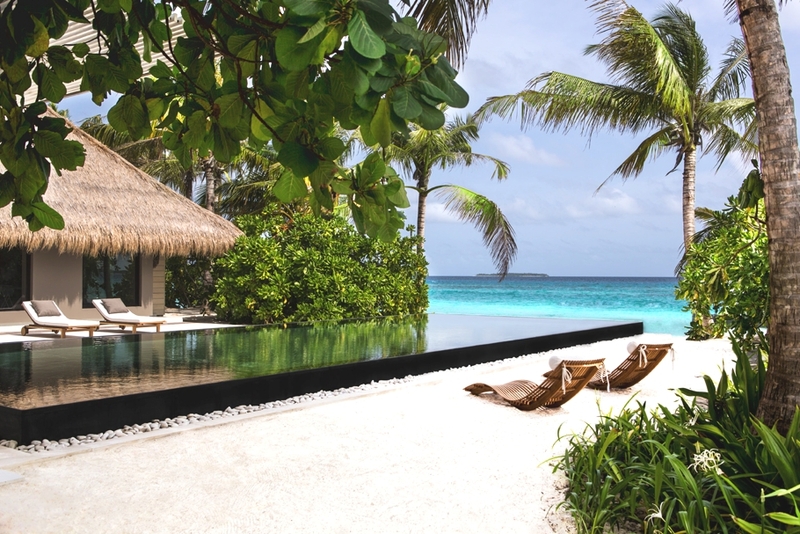 In November, Cheval Blanc Randheli an intimate and contemporary haven opens on the unspoiled Noonu Atoll, a 40-minute journey north of Malé. 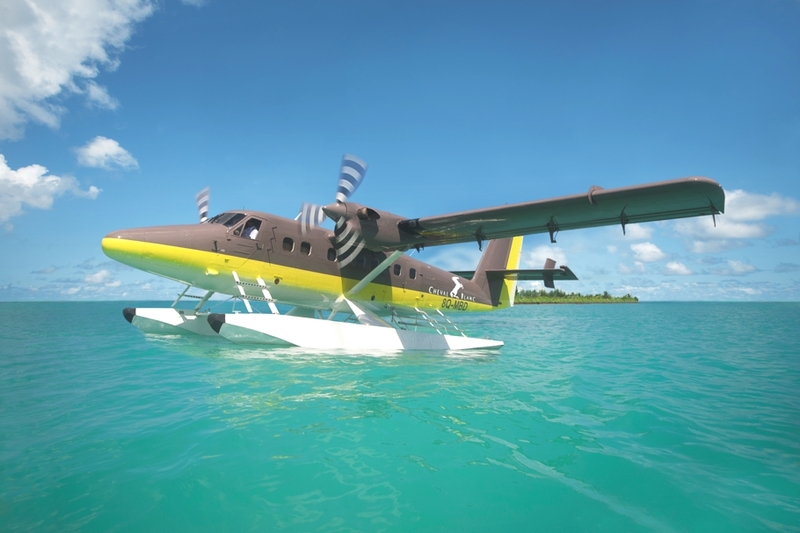 Guests will arrive on the luxury island by the Maison’s own bespoke seaplane for an exceptional holiday start. 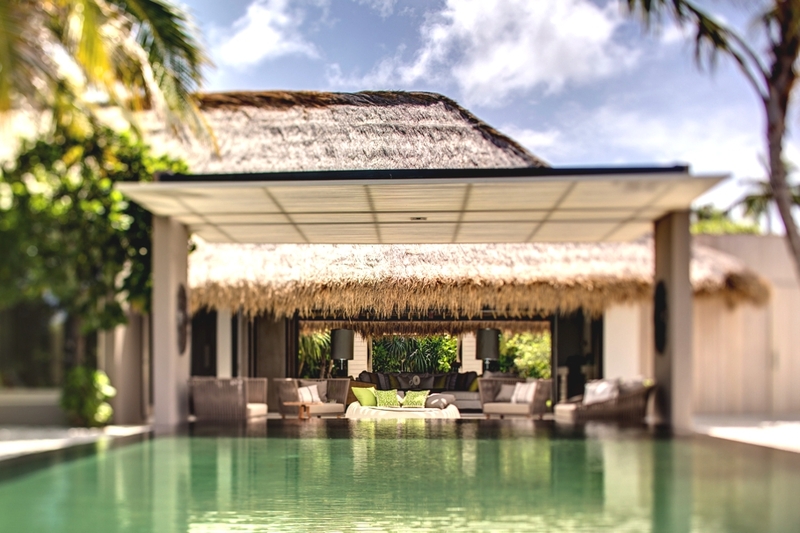 The luxury holiday resort is made up of 45 loft-style villas – each with their own infinity pool and set either on an overwater deck, beside a private beach or in tropical gardens. 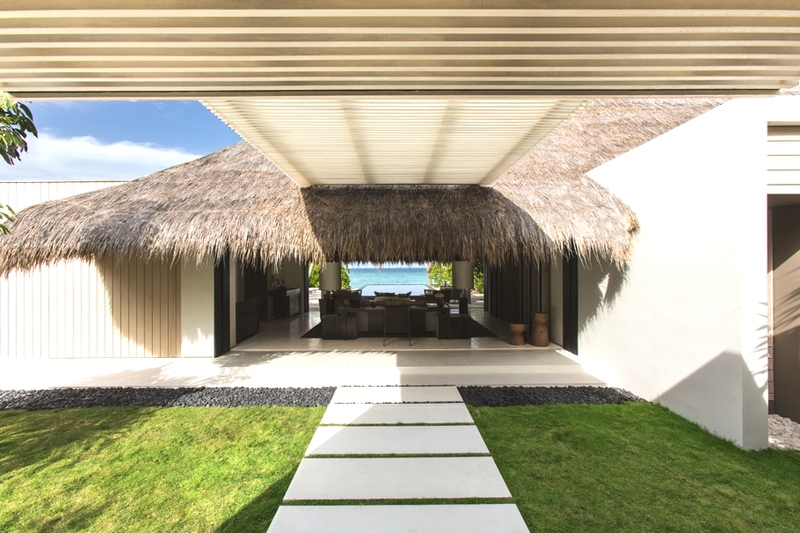 The mastermind behind the design is architect Jean-Michel Gathy. 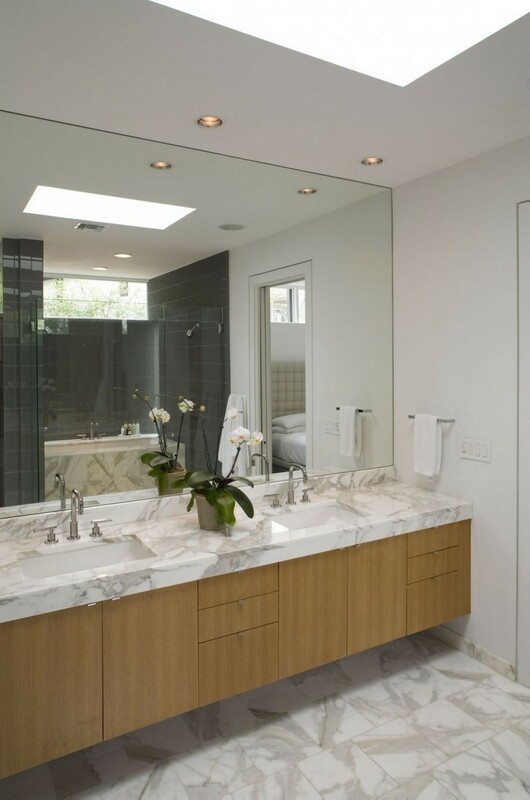 Great attention has been given to the privacy of guests and ensuring a feeling of space. 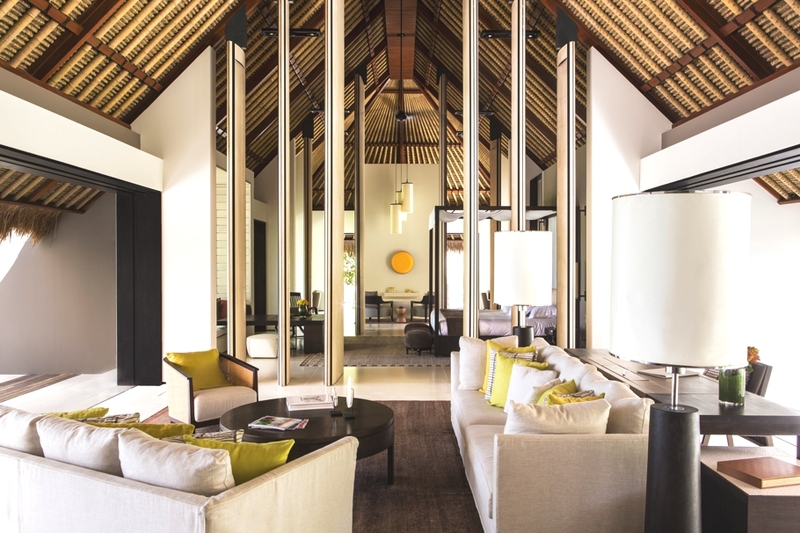 This is reflected in the sleek design of each villa; with lofty cathedral-style ceilings framed by seven-metre-high hand-crafted doors and the strong sense of openness created by the continuation of the interiors into the outdoors. 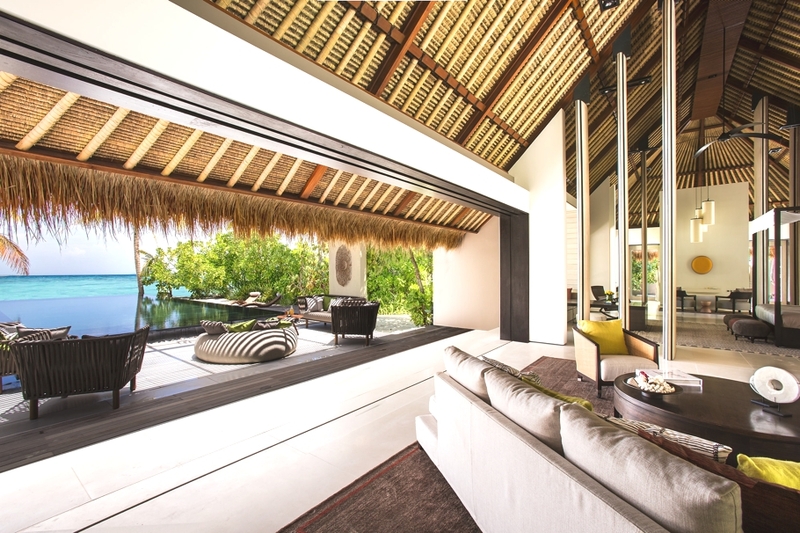 Large glass doors, on both sides of the villa, open fully onto the idyllic landscape or can be closed to create a warm and cosy atmosphere. 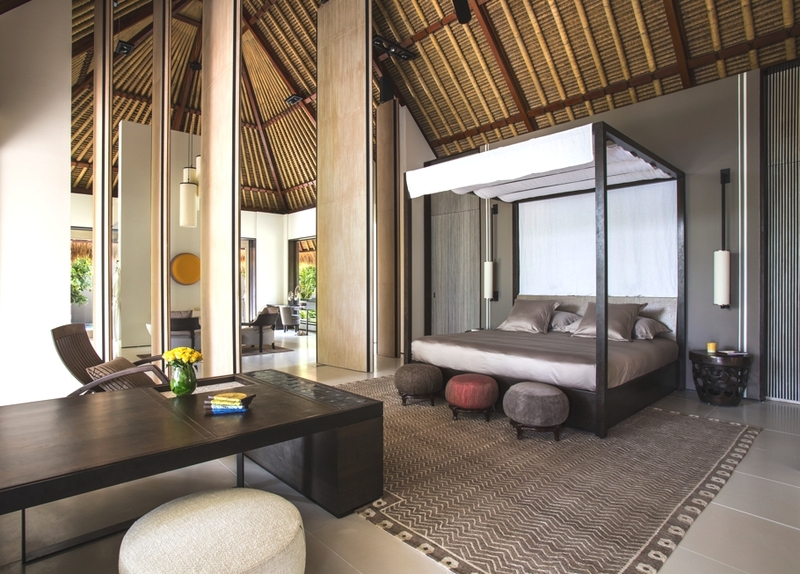 The graphic architecture is complemented by stylish interior design furnished with materials from the Indian Ocean and natural textures – teak, rattan, bamboo, thatch and coconut shell. 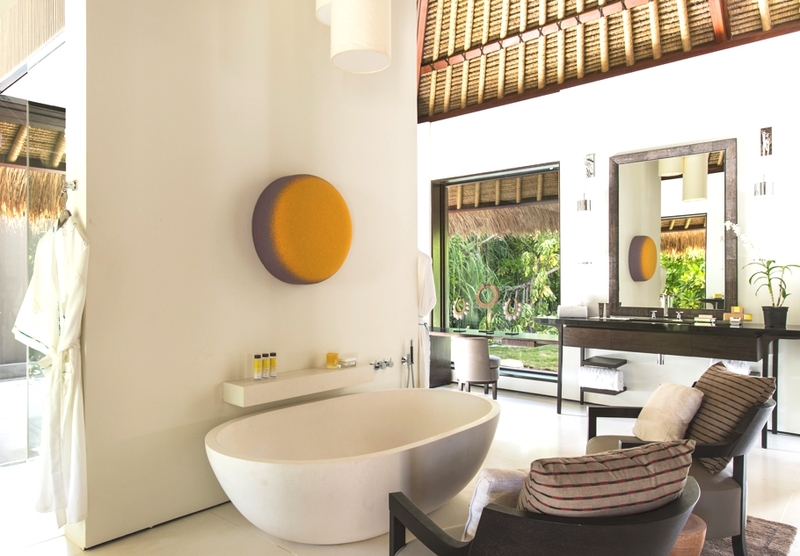 A collection of 45 sculptural colour “spots” by artist Vincent Beaurin completes the bespoke look of the villas. 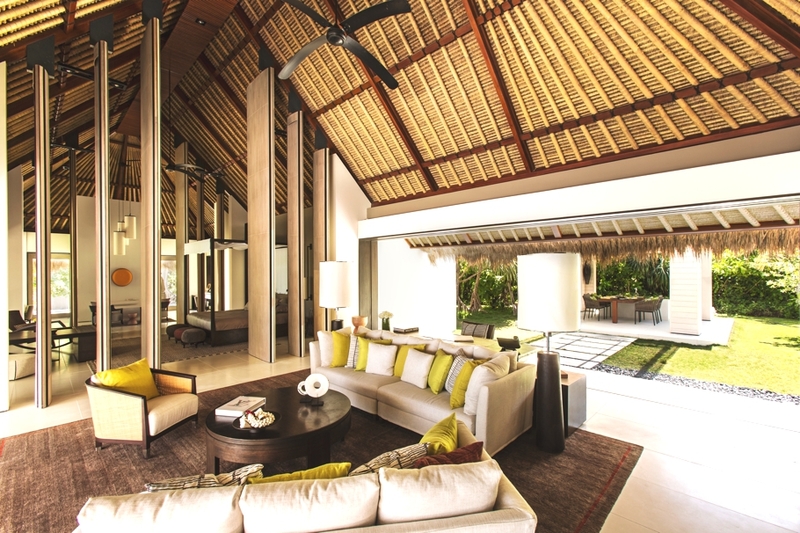 The luxury Maldives resort caters for children, honeymooners, couples and familes alike. French “Art de Recevoir” is at the core of Cheval Blanc’s philosophy. Dining experience is entertaining, surprising and deliciously varied. 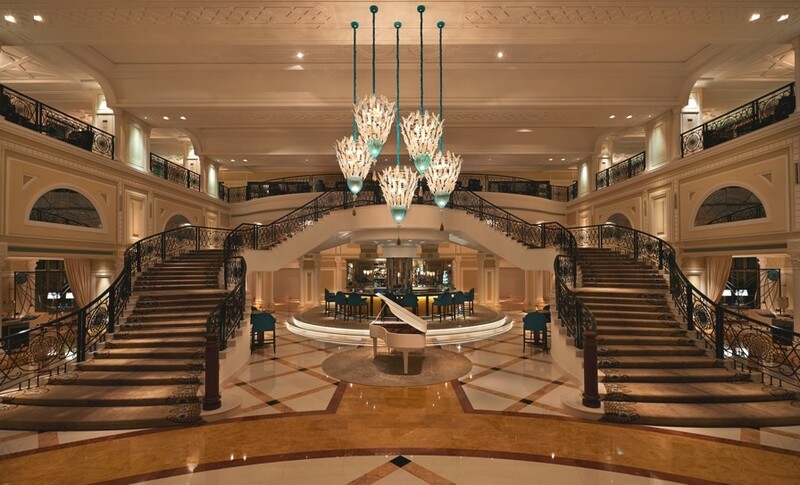 French, Italian, Seafood and a live cooking theatre are on offer in sumptuous surroundings. The Cheval Blanc Spa offers tailored treatments by Guerlain created exclusively for the hotel including the ‘sun ritual’ – preparing skin for a day of sun-worshipping. Brian Dillard Architecture has designed the stunning Dry Creek House in Austin, Texas, planned to reflect a young couple’s appreciation for simple, restrained design combined with comfortable, luxurious living.